Oh hey. Just me again. Who wants to talk about a really convenient little neutrals palette? *hands up* I got this palette from Sephora a month or two ago + it really is a useful little thing (it's really little) so hey, I thought I'd do my duty + share it with y'all even though you've probably heard of this before. #latetotheparty #latetopost #fashionablylate? The Smashbox Full Exposure Palette: essentially a mini verj of the orig Full Exposure Palette, with 8 neutral shades + a mix of shimmers + mattes. It is supposed to contain 'universal' shades to suit pretty much anyone + everyone. I like it because I like to travel + as my immediate family is split between France/New York/UK I do tend to get around a bit ;) ;) ;) *wink wink* Anyway I think this palette is pretty damn affordable at $22 considering how useful it is + how wearable the shades are. When I went to Miami recently these were the only shadows I brought with me because it's perfect for daytime + night makeup if you want to go a bit more intense. I attempted some swatching above but as you can see the lighter shades aren't that visible. The shades I have using the most are second on the top + second on the bottom (from the left). Looks such a nice palette! Love the shades, such a gorgeous palette! Such a cute little palette, want want want. This is such a gorgeous palette. It has the perfect shades for me! 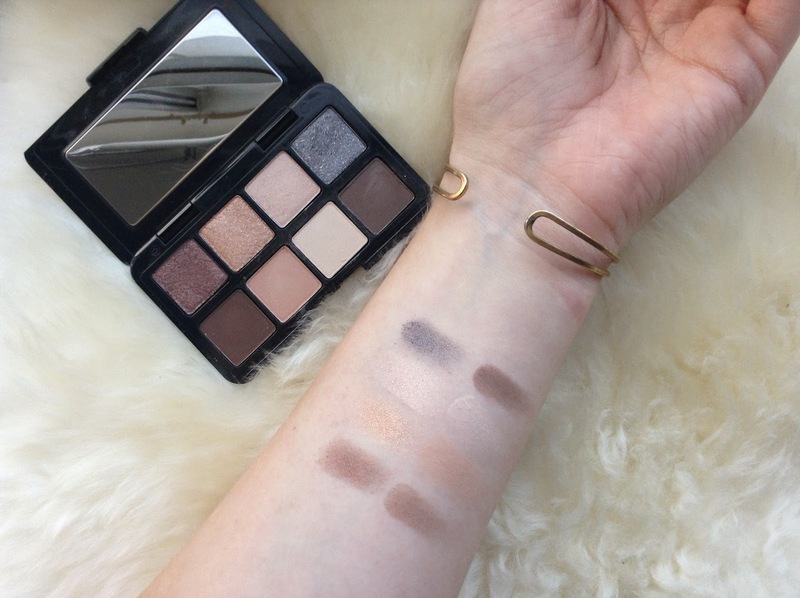 I love tiny palettes so much, not only are they cute but are so portable too! The shade selection here is perfect and well balanced. I love the mix of dark and light along with matte and shimmer. It looks like the perfect palette for travelling with. Its small & compact. The shades look wearable & my kind of shades.